Jeff Bajorek's authentic sales strategies and methods drive massive results. He spent more than a decade in the field as a top performer and he's here to help you understand what it takes to succeed in sales. Do yourself (or your whole sales team) a favor and get your hands on Jeff's book, The 5 Forgotten Fundamentals of Prospecting. It's packed with actionable ways to apply Jeff's five stunningly simple prospecting best practices. It will transform the way you sell. Reinvigorate and refocus your sales team. Jeff is a game-changer when it comes to helping sales professionals break through their preconceived assumptions about sales success. He shares his invigorating energy and genuine enthusiasm for sales as an author, speaker, and consultant. Book Jeff for your next sales event, a custom workshop, or seminar for your sales team. He's also a great guest for your sales, leadership, or business podcast, His approach focuses on time-tested fundamentals: taking responsibility, being prepared, having a great attitude, and delivering value first. 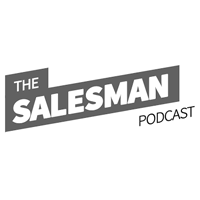 Jeff co-hosts The Why and the Buy podcast with fellow sales leader Christie Walters. Together with their ever-growing list of inspiring guests (which includes an impressive roster of salespeople, marketers, authors, entrepreneurs, free spirits, and other leaders) the two provide fresh perspective on sales, business, and life. Listen to ruminate on why your customers buy from you, why you do what you do, and why that matters. Take a look at Jeff's sales blog and subscribe for updates. It's full of unique prospecting ideas, fresh perspective, and methods to help you or your sales team get out of your own way to start selling more effectively. Transform the way you prospect. Jeff's book, The Five Forgotten Fundamentals of Prospecting is full of insanely simple prospecting advice most salespeople ignore. Do yourself, or your team, a favor and grab a copy.